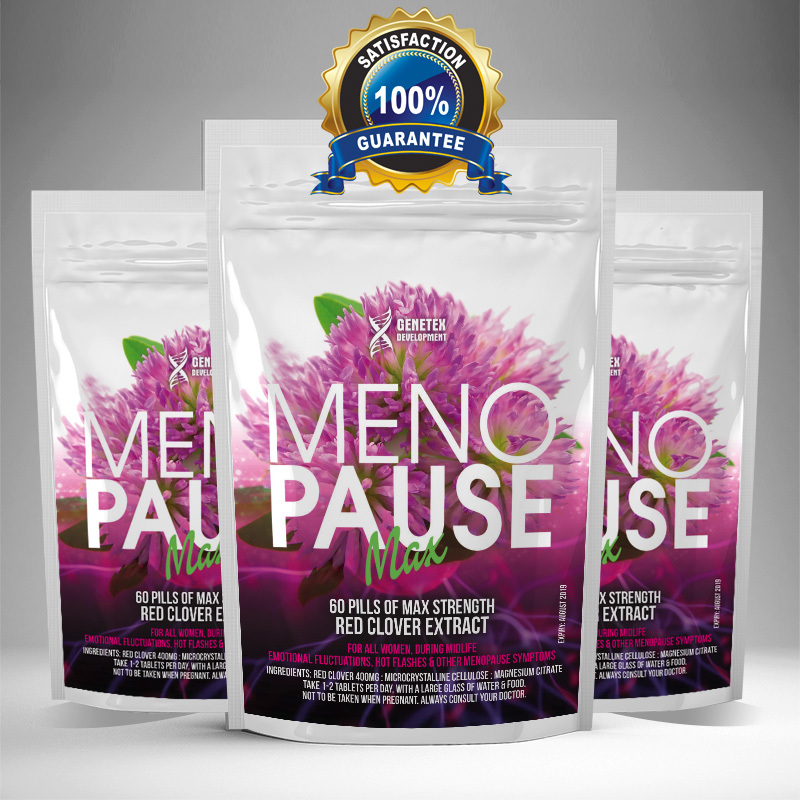 Product: Menopause max has come to be known as an effective, all-natural treatment for lowering menopause symptoms, improving bone mineral density, and lowering risk for heart-related problems like high cholestrol and high blood pressure symptoms. Result: Taken once a day, wont reverse time, but results show a happier, balanced day to day mood and well-being. Science: Trifolium pratense, the Red Clover, is a herbaceous species of flowering plant in the bean family fabaceae, native to europe, western asia and northwest africa, but planted and naturalised in many other regions.